Socially responsible businesses are trending in 2019. Consumers and investors are concerned with where their money goes and how a company uses it more than ever. 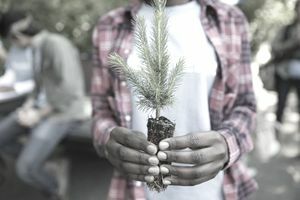 If your business can show that it uses its resource to further social causes, it can often be more attractive to socially conscious consumers. But before you can expect to see your profits increase, you need to focus on these three integral pieces of a socially responsible business. The most natural place that social responsibility of business can be found is in the mission statement. A mission statement is the unifying theme of the organization. All decisions, new products, marketing plans, business initiatives, etc., should tie back into the idea of the mission statement. If your business’ mission statement is based on social responsibility, your business’ actions will always be on based on that responsibility. To create a socially responsible mission statement, start with the overall vision you have for business. Then scale it down to be as specific as possible in terms of what you want to do and how it will impact your business community and industry. Once you’ve finalized your mission statement, lead with it. Make sure your employees and customers are aware of your mission at every turn. Make it a point for it to appear on your training and marketing materials. All roads lead back to your mission statement. It also helps to set business goals based on your company’s mission statement. Remember that goals always work best if they are made in bite-sized chunks rather than buffet-sized gobbles. Measurable goals work better than immeasurable ones. If you have a simple way to measure your progress, you’re more likely to be able to accurately track it. A socially responsible business has workers who believe in its mission. Hire employees that understand your mission and are excited to help you achieve it. Choose potential employees whose experiences align with the company values and use your mission statement as a talking point during the interviews. Once you begin training new employees, make your mission statement a major part of the process, too. If your vision of a socially responsible business is one that works with a specific demographic, consider that demographic in your hiring efforts. For example, if your company’s mission is to put a dent in the homeless teen population of your city, it makes sense for you to find a way to employee some of the local homeless teens. Even if it’s one part-time employee every quarter, you’ll be giving them work experience and the ability to make some money during that time, which can set them up for future work experience. Socially responsible businesses don’t necessarily have to be the ones doing the work. In some cases, it makes more sense for you to partner with other organizations to further your cause. While your business may be the best at what it does, it may not have the resources to also do the social work for your cause. Meanwhile, there may be nonprofit organizations who focus their entire resources on that work. A collaboration with one of those organizations might be the right move for you. Let’s say you own a paper company whose mission is related to environmental conservation. You walk your talk by putting environmentally conscious initiatives in your daily work. But your work is sourcing and selling paper, not necessarily furthering environmental conservation outside of your company. Your best bet would be to work with a socially responsible group that is already doing that work. You could support them by offering a percentage of your profits or partnering on events. You sponsor their special projects while continuing to run your business. Just make sure that you do your due diligence before partnering with any organization. Check into the background of the organization itself as well as the key staff you’ll be working with. Ask about the current initiatives and their results. In certain cases, the financials may be public record and it makes good sense to take a look at them. Make sure the values of the organization, both private and public, align with your business. And don’t be afraid to commit to a limited partnership at first. If it turns out to not be a right fit, you can part quickly. If things go well, you can always extend it. Each of these elements can build and strengthen your reputation as a socially responsible business, creating opportunities for new customers, more sales, and increased profits. What Is Microvolunteering (and Should Your Nonprofit Do It)? Advocacy or Lobbying? What's the Difference for Nonprofits? Is a Shared Leadership Model Right for Your Nonprofit? What Nonprofits Support Public Education? What Is a 501(c)(6) Membership Based Nonprofit? What Is a 501(c)(7) Tax-Exempt Social Club? What Is the Difference Between For-Profit and Nonprofit?